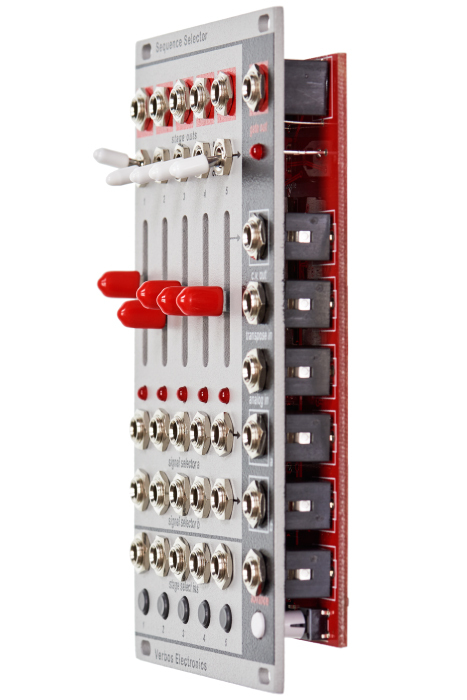 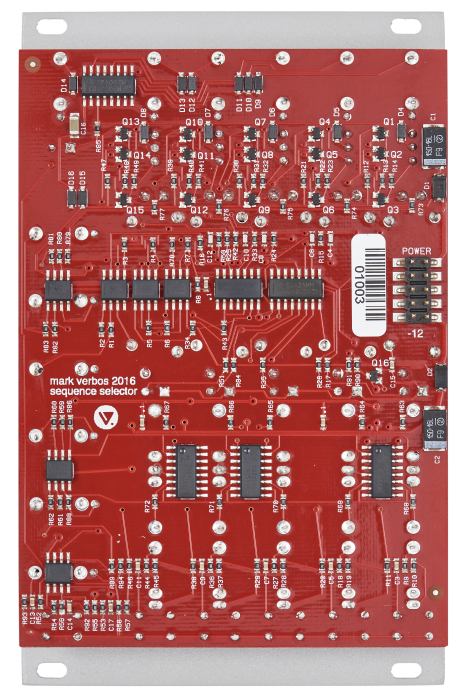 The Verbos Electronics Sequence Selector is a five-step analog sequencers for generating CVs and gates, featuring step addressing by pulses, keypresses and a CV. 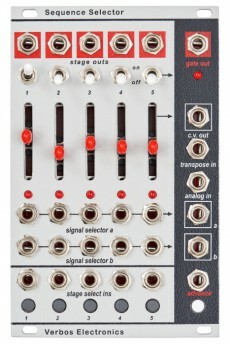 The sequence can be transposed for arpeggio-like effects. 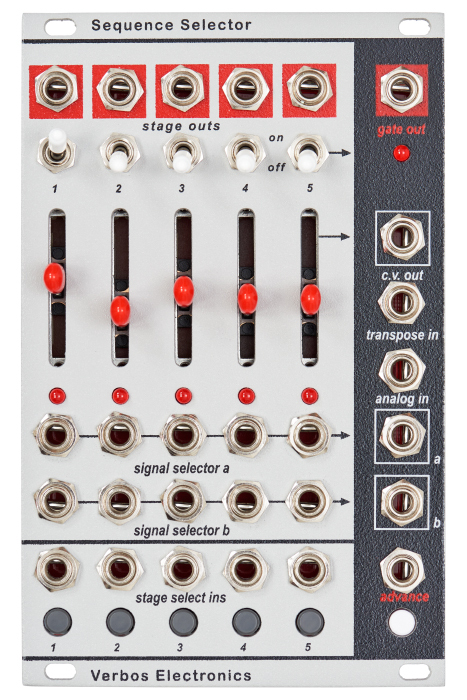 Also the module includes two 5-to-1 sequential switch units which, in the same clock like the sequencer moves, switch one of five signals to one output.